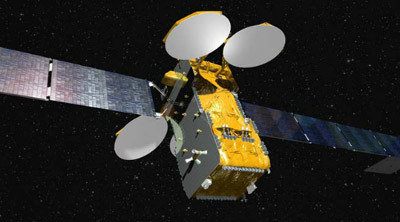 DirecTV contracted with EADS Astrium in November 2011 to design and manufacture the DirecTV 15, a new high-power telecommunications satellite to provide back-up capacity and fleet expansion for television services to US customers in homes and businesses. Based on Astrium’s Eurostar-3000 platform, the new satellite, DIRECTV 15, will have a payload comprising 30 high power transponders in Ku-band, 24 transponders in Ka-band, 18 transponders in Reverse Band, and will be able to operate from up to five orbital locations from 99°W to 119°W, covering Continental US (CONUS), Alaska, Hawaii and Puerto Rico. DIRECTV 15 was launched in May 2015. The spacecraft has a launch mass of 6205 kg, an electrical power of 16 kW and is designed to deliver more than 15 years of in-orbit operations.